Welcome to Adam Roach's MWOY Fundraising Page! Who I am fighting for. 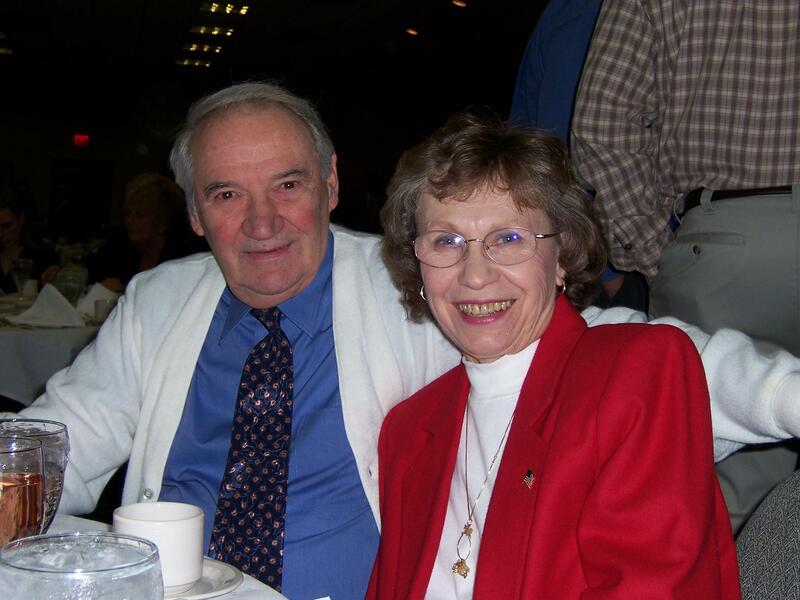 I’m working to raise money to help find a cure for cancer in remembrance of my Grandfather, Denis Tetreau. This past fall, my Grandfather was diagnosed with an aggressive type of lymphoma. He went for a biopsy to find out the extent of the cancer, but at the age of 85 his chances were slim. He decided he wanted to fight anyway and began chemo treatment, but after only a few weeks, unexpectedly fell ill and passed away. We said our goodbyes to him on November 20th 2017. As the grandfather of 19 and great-grandfather of 17, he was loved by many and is missed dearly. Grandpa was full of life, quick to crack a joke, and never passed up an opportunity to do the right thing. My family and I feel that he deserves something special to remember him. Our goal is to raise $50,000 for LLS to honor him with a research portfolio dedicated to his name. Please help us with this cause and donate today. Welcome to my 10 week campaign to raise money and awareness to benefit the Leukemia and Lymphoma Sociey. The journey will begin 2-22-2018 with the kickoff celebration and culminate 5-5-2018 at the grand finale gala. Our goal is to raise $50,000 which will honor my grandfather, the late Denis Tetreau with a research portfolio in his name. Throughout the campaign we will be hosting fun events and collecting donations to join L.L.S. in the fight against cancer. Stay tuned for full event schedules, updates on the campaign, and inspiration as we move forward with this campaign.